On Sunday, I threw my jump saddle on Connor and thought I'd pop him over a few things in the indoor. We hadn't jumped in a while, and the schooling HT we might do is in a month, so it's high time we found our sea legs again. That was too much! His brain exploded at the sound of my voice and his body followed. I don't really know what happened, but he levitated about 10 feet to the left in the blink of an eye and unseated me. First I found myself hovering above him looking at the ground, thinking "This it is, this is how my streak of never having fallen off a Welsh Cob (6.5 years!) and never having fallen off Connor (5 years!) ends!" 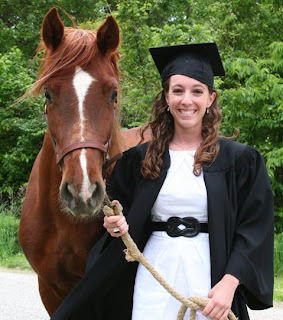 All the way back to when I broke Baby Shae in college, I have never come off a Welsh Cob. And I have ridden many: Shae, Dillon, Aviator, Dundee, Connor, Rory, Tristan...I think that's the whole list. Then, I found myself sitting up and still on him, but sitting on his withers, in front of the saddle, with my left foot still in the stirrup and my legs around his neck. 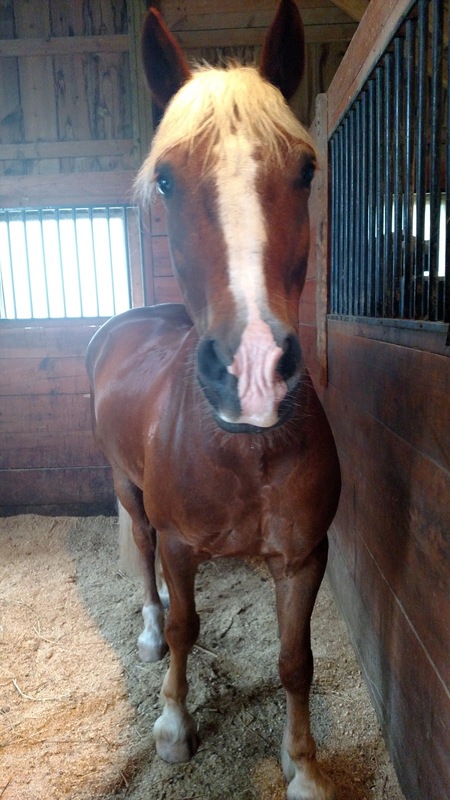 To his credit, Connor's natural reaction to someone sitting on his neck was to throw his head in the air (while still trotting). If he'd put it down, I would have been a goner. 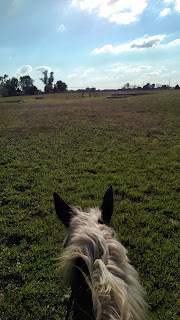 I kicked my foot out of the stirrup in case I bit it, planted my hands on his neck and pushed myself back in the saddle. And then you better believe we spent the rest of our warmup next to that stupid pallet, until he was too tired to curve his body away from it (but I'm pretty sure there was probably still side-eye being given). This horse, always keeping life interesting but never (really) dangerous. Right? Haha! Never a dull moment. I haven't fallen off a Welsh Cob in 6.5 years! I fell off of a Thoroughbred last December, and that was my first fall off of anything in six years. I think it says I'm a big chicken more than anything else, haha. Not coming off Connor ever is a pretty solid achievement! For sure, especially considering how small he is and how little room for screwing up you have compared with a horse. I swear it's a Welsh Cob thing. Strong sense of self-preservation, and very smart. That was quick thinking on your part! Once (when I was early in my riding) I was at a schooling show and the horse took a long spot and I popped out of the tack and landed on his neck. He lifted his head and plopped me back in the saddle while not missing a beat. Gotta love school horses. Glad you didn't break your streak! Haha, nice save! And nice streak! !